We all know there is fragmentation and confusion with job titles, job content and terminology in the experience design community. A designer may have held titles across the UX spectrum—from web designer, interaction designer or UI designer to product designer—with only slight variations of actual job content and design process deliverables. He or she often has trouble expressing this pile of nuances to someone outside of their team. An employer searching for UX talent may think they need an information architect when what they really need is an interface designer with visual skills. There’s an absence of self-awareness on both sides that’s endemic to the weird little universe that is UX. As the lead recruiter for Didus, a niche UX placement agency, I work to build bridges over much of the confusion, connecting companies and designers. In this capacity, I’m often less of a recruiter and more of a translator. Here, I will talk about the UX industry from a recruitment perspective and, in particular, provide some tips on how to sell your skills as a UX practitioner to an employer. What is it that you do here, exactly? As a recruiter, I always dig deeper with UX practitioners to find out just what it is they do in their current role and where they'd like to go with their unique skill sets. A UX practitioner should be focusing on their skills rather than on their job title as job titles are infamously ambiguous. I recently worked with a UI Designer at a well-established product company. Her previous titles included UX Designer and Interaction Designer, so I found it curious that she was now focusing solely on visual hierarchy and on-screen layouts. As we talked, it became apparent that her role included designing user flows and wireframes, creating prototypes, and running usability testing, none of which were outlined in her resume. It’s worth stating in plain language what aspects of the product design process you have contributed to, what platforms you have designed for, what deliverables you have created, and what tools you have used to make all that happen. This information clarifies what it is you do, in spite of a job title that may be misaligned. Presenting yourself as the sum of your parts is an important step in creating a resume that highlights your proficiency. Determining these things also helps you decide what sort of work samples you need to put into your portfolio to express what you’ve accomplished and what you’re capable of. Take it a step further and find a friend outside of the industry. Buy them a cup of coffee (or, more generously, a beer) and explain what you do and how your knowledge and input moves a design along. Talking through your experience to someone outside your little snowglobe is key. A significant number of employers hiring for experience design roles are doing so for the first time so they are more than likely confused about what actually happens under the banner of UX. During Denver Startup Week, I was on a panel dedicated to the subject of first-time UX hiring. We had some key UX players from the Denver and Boulder market on the panel. One of the issues we discussed was whether to hire a generalist or a specialist. Many startups are looking for a generalist who is really a specialist at everything. “Companies are excited that maybe this unicorn exists—this wonderful, mythical creature that can do it all”, observed Laurel Malenke. In reality, UX Designers often have one or two core strengths. Perhaps they are experts in coding and may, in a pinch, do some development, but, as Malenke points out, “to expect a UX designer to perform at a very high level throughout the design process is unrealistic”. More startups and companies are perking up at the term “UX”, but the buzz that has accumulated around UX often makes it difficult to create clarity. Many employers have only the vaguest idea of what they really need when it relates to actual experience design. It’s no surprise that their ideas about what a UX designer should be capable of are skewed. The best way to help companies manage their expectations and define their needs is by talking to them. By walking them through a list of proficiencies and desired outcomes, it makes it much easier to find the practitioner that will seem like a unicorn to them. In turn, having these detailed conversations of expectations also helps to set up an environment that will benefit the UXer as well. UX should be part of the product team, where the voice of the customer can be directly integrated with the product strategy. Pitman sums up the importance of this in his comment, “When users are achieving their goals, that correlates strongly to the company meeting its goals”. In this industry, it’s sometimes hard to know who you are. Every company you work for and every product that you work on can be radically different from the last, making it increasingly hard to see the forest for the trees. The irony here is that companies hiring for UX—and certainly those doing it for the first time—are lost in the woods, too. There’s no surefire way to bridge the gap every time. However, when parties on both sides of the equation are motivated to know themselves a little better, it will mean that meaningful connections can be made. Focus on your skills, not your job title. On your resume, make sure you’ve described in plain language what it is that you’ve done and what deliverables you have worked on. Find a non-UX friend and talk through what you do, as practice for an interview. Don’t feel that you need to know it all or be everything. The perfect UX Unicorn doesn’t exist. Be empathetic towards a company, particularly one hiring UXers for the first time. Employers are not the enemy. 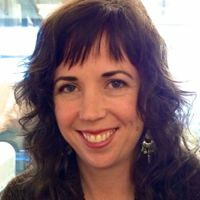 Alison Lawrence is the UX Design and Technology liaison at Didus, a niche career services agency focused on experience design, technology, research, and strategy. She has been navigating the murky waters of the employment market for over ten years. She helps candidates to make the most of the interview process, and to negotiate an offer that both parties feel great about. She is also a contributor to UX Magazine.